On March 1st we celebrate St David's day - David being the Patriot Saint of Wales . 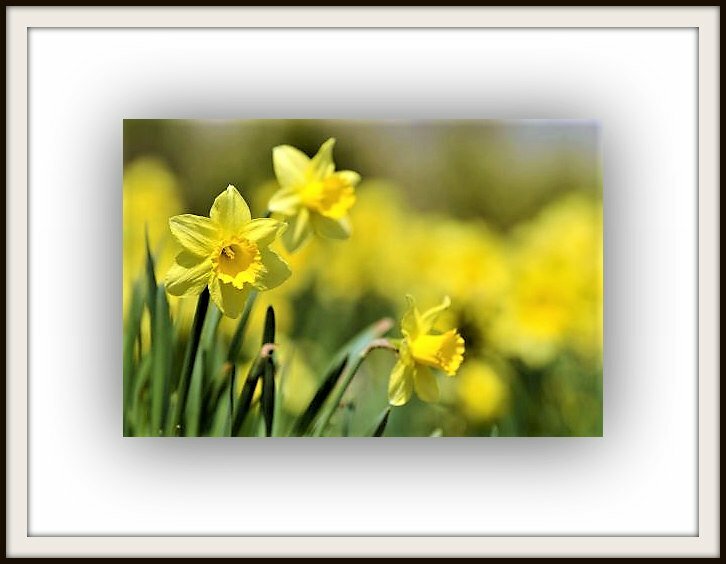 The national flower is the daffodil . Happy St David's day to all Welshmen wherever you are in the world ! Beautiful, Happy St David's Day Beryl. Super DOF Beryl, lovely shot, and nicely framed. Dydd Gwyl Ddewi Hapus Beryl. Beautiful capture & Happy St David’s day Beryl. Happy St David's Day to you too Beryl. This is a really beautiful capture, wonderful dof. Happy Saint David's Day. Beautiful daffodils. Gorgeous shot and nice framing. A fav. Happy St. David's Day to you. Nice capture of the daffodils. Happy St. David's Day. A beautiful Daffodill pic. greatly framed. Happy St. David's Day to you as well! Really beautiful how you added the frame. Congratulations on TT Beryl, well deserved!